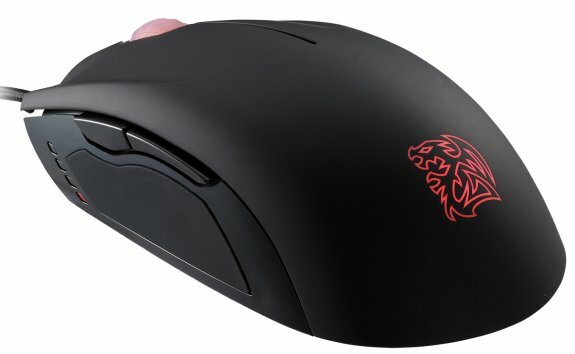 Tt eSPORTS reveals Saphira, a new mouse designed for RTS and FPS gamers, as well as White-Ra branded mousepads. Tt eSPORTS, the leader of gaming and a sub-division brand of Thermaltake, is exciting to announce SAPHIRA, world’s most advanced pro-gaming engineering technology on mouse, and White-Ra’s Limited Edition signature mouse pad. It has been too long, for both Tt eSPORTS and White-Ra’s worldwide fans, to finally witness the birth of White-Ra’s first official series products. SAPHIRA is aesthetically designed to demonstrate pure agility, made for RTS/FPS game genres, and equipped with adjustable DPI from 100 to 3500. White-Ra zealously proposes several interesting and novel product concepts until his satisfaction lands with SAPHIRA. 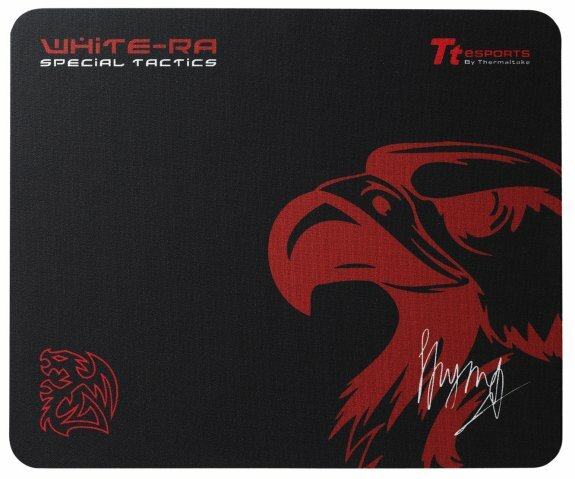 Similar, with his Limited Edition mouse pad, the eagle symbol illustrates comprehensively with his forever fan-loved brand Special Tactics, echoing to the world that White-Ra preys his opponents in ways unexpected to strike with surprise. Along with eagle’s representation of authoritive depiction of God-like, Aleksey ‘White-Ra’ Krupnyk presents to you the Limited Edition White-Ra mouse pad, available in color black and white, offering gamers an alternative choice uniquely differentiated from commonly seen in standard black. The champion of SC2, a true ambassador of sportsmanship, Tt eSPORTS is pleased to announce the debut cooperation with White-Ra, joined-force designing pro-gaming mouse SAPHIRA and the Limited Edition mouse pad. Aleksey Krupnyk, or “White-Ra”, is an iconic pro-gaming legend of SCII. Travelling from his home country of Ukraine to compete in global gaming tournaments, with his gentle characteristics, his love of gaming, and his Special Tactics of Protoss race, White-Ra wishes to share his passion of gaming further with his fans worldwide. The first ever White-Ra series gaming products - SAPHIRA and the Limited Edition mouse pad - White-Ra participated in everything from product design to the idea of professional gaming products shall all work as one when competing: “No hesitation, no distraction. To me, I want SAPHIRA to be part of myself and mouse pad to go with.” He unreservedly shares his passion and gaming philosophy for e-sports community with Tt eSPORTS, and such crossover partnership foreshadows this unexpected surprise for his fans, and Tt eSPORTS just can’t wait to launch these amazing pro-gaming gears to the world. Use Special Tactics to play like a pro, White-Ra presents the gaming world with SAPHIRA gaming mouse and Limited Edition mouse pad. T.P.G. (Tt Pro Grade) Gaming Optical Sensor 3500 DPI Engine. (100 - 3500 DPI Adjustable). Fully Functional on Most Surfaces. OMRON Gaming Switch Capable of up to 5 Million Keystrokes. 5 Fully Customizable Macro Keys for RTS/FPS Game Genres. Pause-Break Lighting Effect on the Dragon logo. Intelligent Scroll-Design System provides précised and accurate scrolling behavior, auto-detects users’ next movement in FTS game genre. On-Board 32kb Memory Storage for 5 Macro Keys within 5 Game Profiles. CWT (Cross-Weave Technology): rough and smooth fabrics are woven together to combine a slick-gliding surface for speed, while maintaining a textured friction surface for maximum stability and control. Synthetic fabric material allows mouse feet to glide effortlessly across the gaming surface. Sensor Precision provides optimal DPI tracking with the textured composite design. Non-slip rubber base prevents unwanted pad movements. Perfect size and comfort portability.